Born: 6th December 1881, Somersham, Suffolk. Baptised: 22nd January 1882, Somersham. Died on or since and for official purposes: 22nd August 1917; age 36; KiA. Served 1 year & 269 days. Enlistment Details: Location: Ipswich; Date: 27th November 1915; age: 33 years 11 months. Height: 5ft 8 1/2ins. Signed up for the duration of the war. Service: Home 27th November 1915 – 29th May 1917 – B.E.F. 30th May 1917 – Transferred – Royal Scots – 30th May 1917. Posted 13th Battalion – 14th June 1917. Benjamin was 9 years old and living with his parents & siblings. William Cook, 37, a Blacksmith, born Elmsett, Suffolk. Ellen Sherman Cook (nee Hunt), 38, born Occold, Suffolk. William Edwin Cook, 17, a Harness Maker, born Somersham. Henry Thomas Cook, 15, a Blacksmith, born Somersham. Thomas Stephen Cook, 13, a Labourer, born Somersham. Jessie Edith Cook, 11, born Somersham. Carrie Elizabeth Cook, 6, born Somersham. George Charles Cook, 2, born Somersham. 1901 Blacksmith’s Shop, Parish Pond, Bramford, Suffolk. Benjamin was 20 years old, a Milkman – Agricultural – Cattle. He was living with his parents & brothers. William, 49, a Blacksmith – own account. William, 28, a Harness Maker. Thomas, 24, a Labourer – Chemical Works. 1911 The Street, Bramford, Suffolk. Benjamin was 29 years old, a Milk Salesman. He was married and Head of the Household. Benjamin’s father, William Cook, died 1903, Somersham. Elsie Bessie Cook, born 1908, 97, Waveney Road, Ipswich. Winifred Cook, born April 1909, 97, Waveney Road, Ipswich. Sidney George Cook, born August 1910, 97, Waveney Road, Ipswich. Lilian May Cook, born September 1912, 97, Waveney Road, Ipswich. Ivy Annie Cook, born January 1914, 97, Waveney Road, Ipswich. Clifford Ernest Cook, born August 1915, 97, Waveney Road, Ipswich. 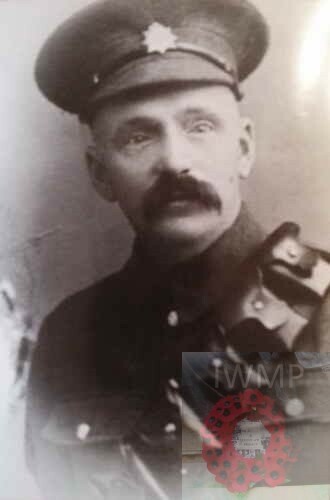 Thomas Stephen Cook, Private, 61564, KiA 23rd April 1917, at the 2nd Battle of Scarpe, aged 40. Royal Fusiliers, 10th Battalion – remembered Bay 3, Arras Memorial, Pas de Calais, France. George Charles Cook, driver, 19357, Died of Wounds, 3rd November 1916, aged 30. Royal Field Artillery, ‘A’ battery, 92nd Brigade – buried Grove Town Cemetery, Meaulte, France.